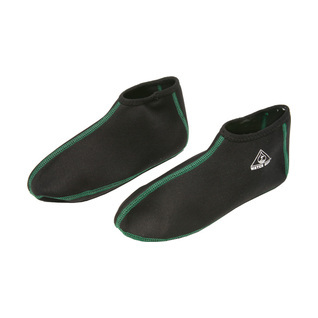 The Water Gear Fin Socks is specially designed to be worn with fins to reduce rubbing. Water Gear makes many aquatic products from goggles to training equipment to lifeguard gear. Take a look at their selection today! So far, two days, I have not had a problem with these fin socks. Time will tell on durability, but so far they are comfortable enough to wear for my 8 hour shift in water shoes. this was the first time I ever used this item rather than socks. It is so much more comfortable. Also easier to put fins on and off. Outstanding! My feet love them!